As promised in my last post, here I am to spill the beans and to talk about my new home - New York City. The big move was quite unexpected and pleasantly surprising. Yes, it was always my dream to work in-the-city. Yes, I did imagine myself multiple times, walking through the beautiful alleys of NYC, gazing at the tall buildings. What I didn't expect is, how soon my wish came true. 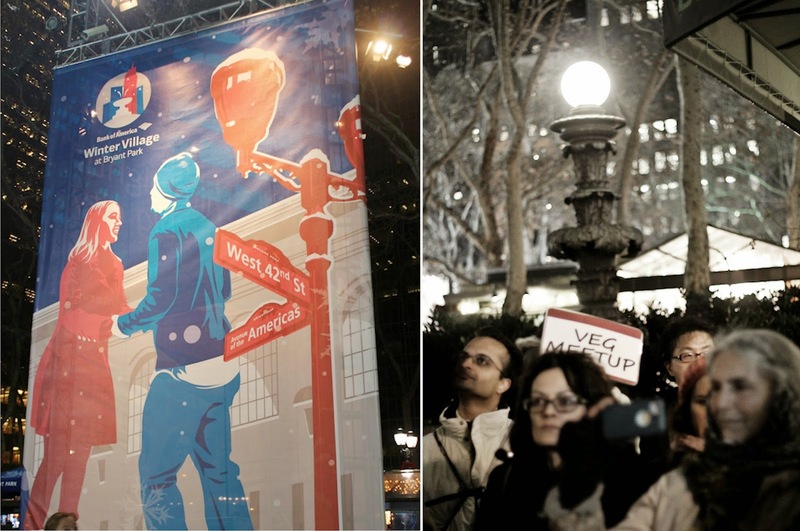 It has been four hectic weeks of still adjusting and trying to fit into this crazy yet exhilarating New York culture. Also, one other thing I did not expect is that the first post after my move would be about a a Vegan/Vegetarian Meetup, something I signed up mere few days ago. 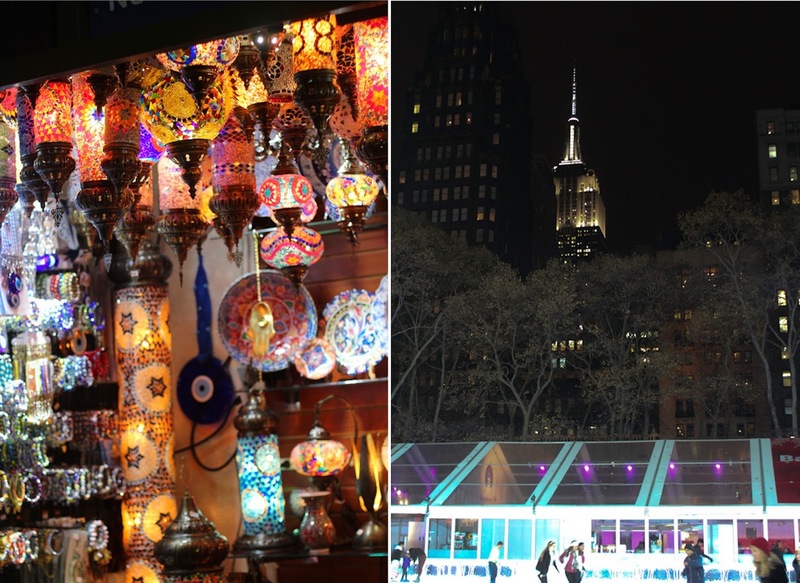 Click for more and scroll down for a visual experience of my visit to Winter Village at Bryant Park last night! It doesn't matter to which city I move or in which neighborhood I live. There are always people who love food and I really feel lucky to encounter them, in one way or the other. 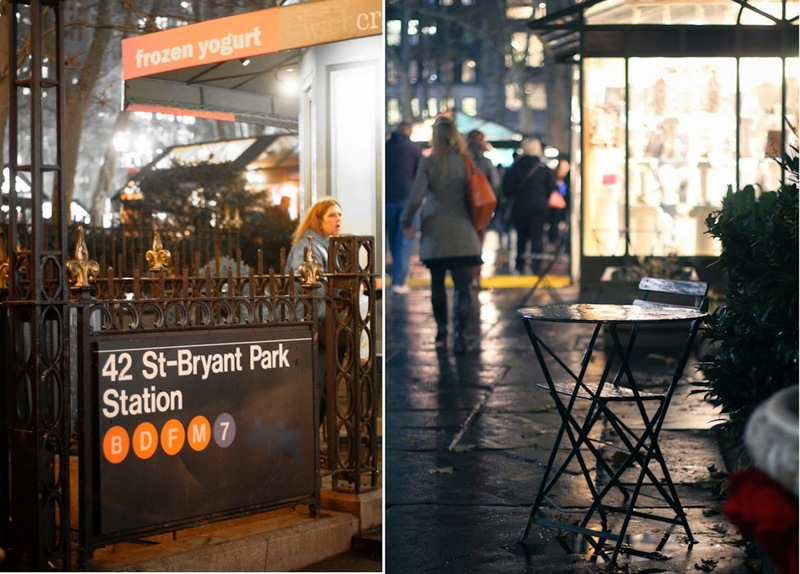 This is exactly what happened last night - at Bryant Park. By 6:15pm sharp as planned in advance, I reached the intersection of 42nd St. and 6th Ave, eagerly waiting for someone to show up with a 'MEET UP' sign board. To be honest, I was anticipating nothing as it is my first and no idea how it would go. Will people even talk? Will they be friendly? Will they have the same amount of passion for food as me? All of my questions were answered within the next few minutes. Seema was the first I start chatting to and it just so happens that we stay on the same street. 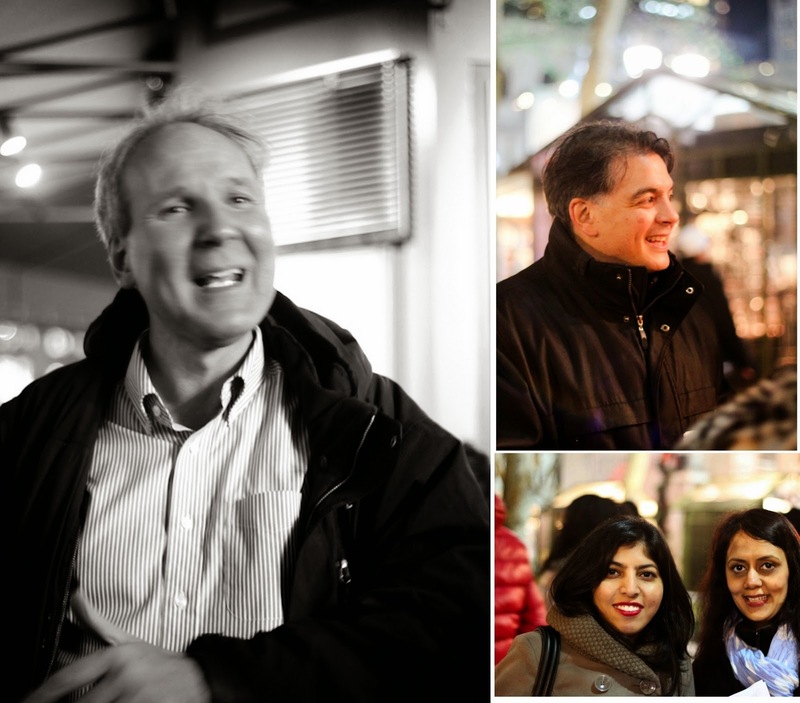 Then it was Jo, Sajel, David, Minish, Beth, Kuldeep, Nithesh, Rohit, Sarah.. and the list went on. They all spoke so passionately about veganism, that it moved me to the core. The people make all the difference! David Greene (on the left in the above photograph) heads amazing this group of 7000+ vegans/vegetarians from NYC and Frank DiPrisco (on the right), responsible to have 80+ vegan stalls this year was our tour guide for the day. He shared such heartwarming anecdotes of the stall owners who took measures (big & small) to make their products completely vegan. The night went on effortlessly and I didn't even realize when the clock struck 9 PM. It was time for me to leave, to hit the bed early and go to work early in the morning. Before I leave you with many other photographs from the event, I would just like to say - Every little step towards creating a compassionate and animal-friendly environment counts and it is indeed true that amazing people along with good food, made with lots of love & care is a combination that can never go wrong! 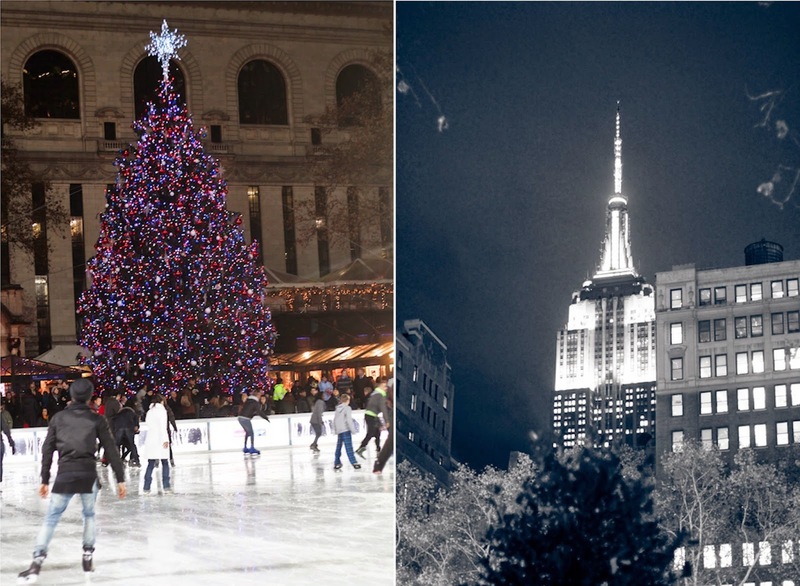 We cannot miss the Christmas tree and the amazing views from the park..
Bryant park has over 125 holiday shops and a free admission to the rink. Get a map and stroll through the shops. 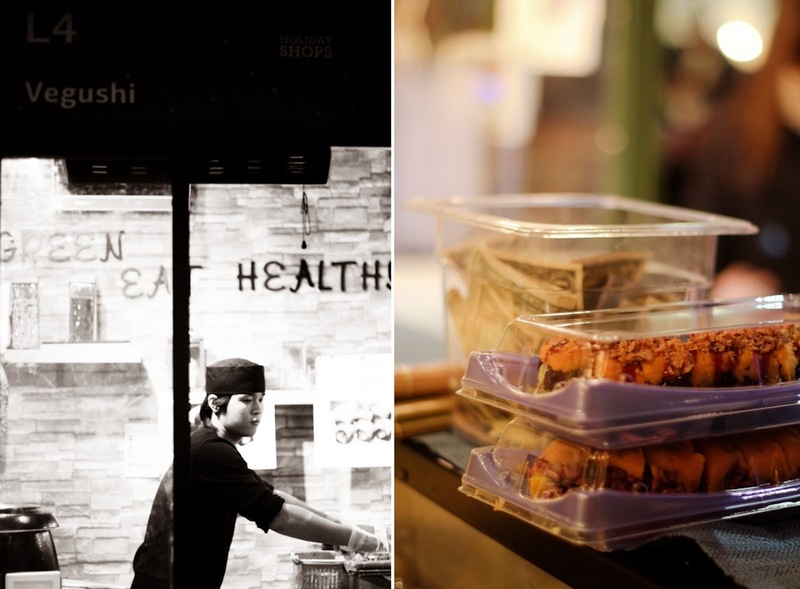 Vegushi is a stall I fell in love with at its first sight. On the right below is Crunchy Sweet Dragon Sushi (Avocado, Cucumber topped with Sweet Potato and Fried Onion) [8.95$]. I HAVE to go back and try their other offerings! 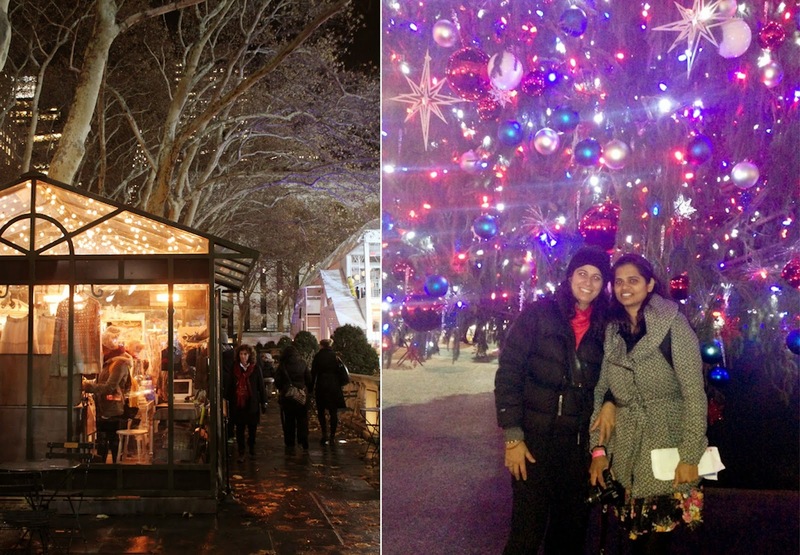 If you are in the city, I highly recommend to add the amazing Winter Wonderland to your itinerary - there is tons to do, eat or just walk around for its sheer pleasure. One small tip, dress warm, just so that you won't end up with frozen toes like me. It was indeed a lot of fun Nupur! :-) filled with warm and friendly people. I was there yesterday morning. We should meet up some time. 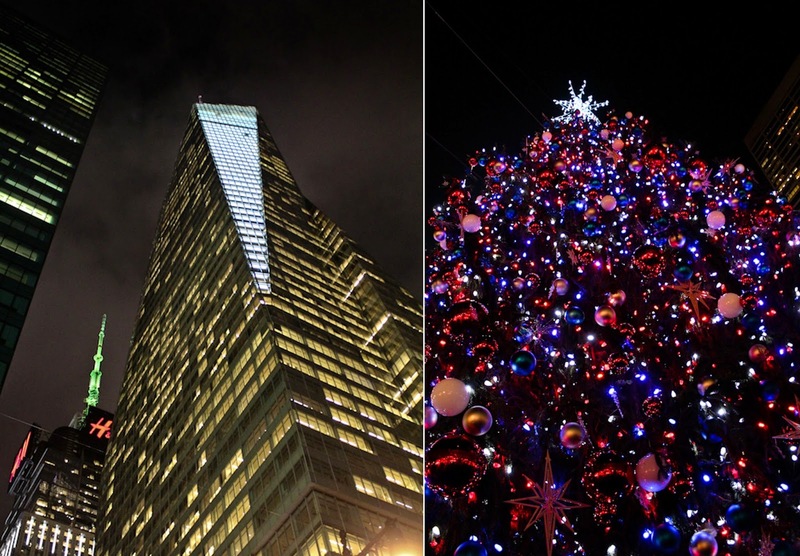 How long are you in NYC?